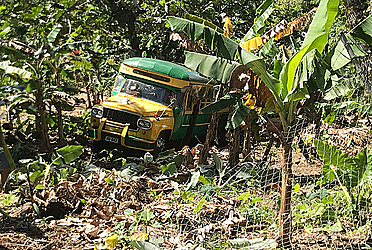 Passengers on a Falealili bus are lucky to be alive after its gearbox jammed, forcing it to reverse into a 15-seater bus before ending up in a banana plantation at Vaoala. The impact of the reverse smashed the 15-seater bus’ lights and ripped off the engine cover, on top of leaving a big dent below the windscreen. 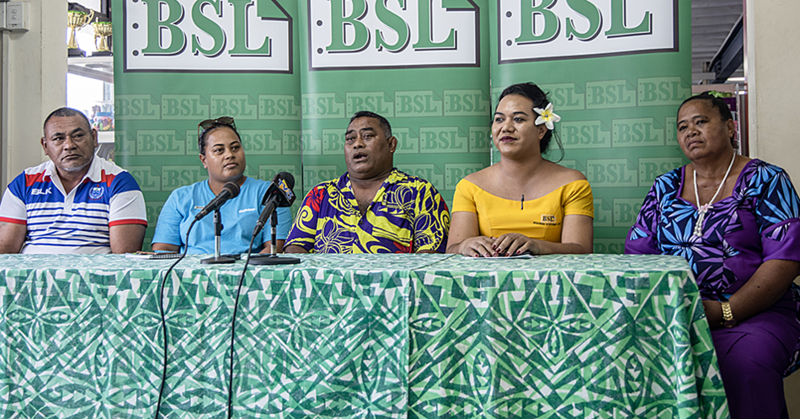 Speaking to Samoa Observer after the accident, passengers Faaleo and Siaosi said the driver was in a helpless situation as the gearbox jammed, and he could not stop the bus from reversing into a van at the back. 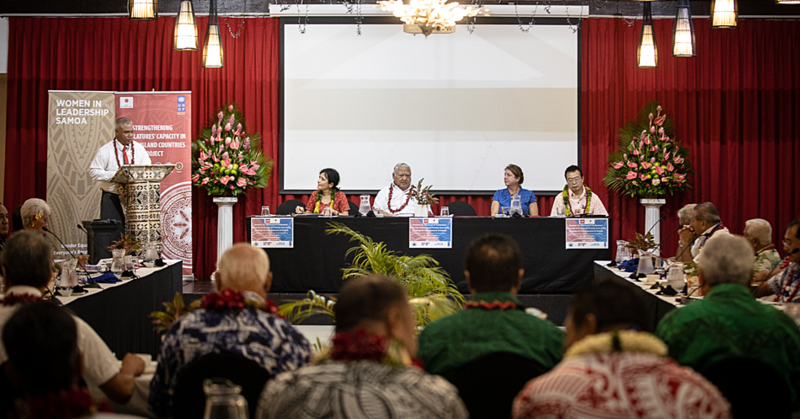 “When we got up to Vaoala, the bus driver lost control and he informed us that the gear of the bus was jammed. The driver couldn’t control it and the bus locked in reverse crashing into a van that was behind us and then we ended up in the plantation. We are thankful that nobody was injured and no lives were lost during this incident,” said Faaleo. 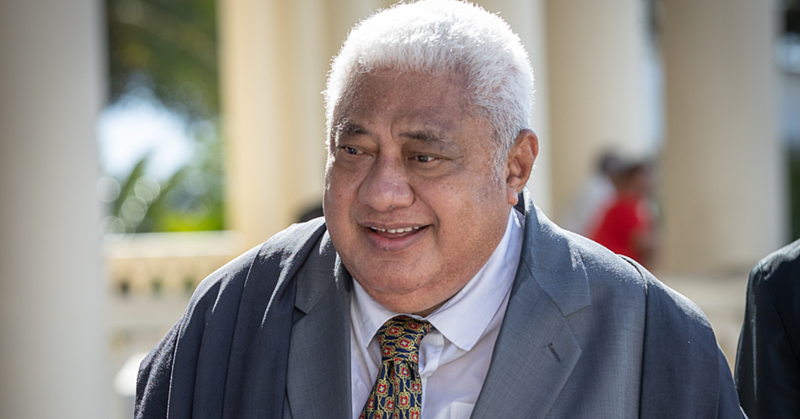 Reversing into a banana plantation ensured there were no lives lost according to Siaosi. But yesterday’s crash should serve as a reminder to bus drivers to check their trucks before they pick up passengers, says Faaleo. Police were on the scene immediately after the accident according to eyewitnesses. Attempts to get comments from the Ministry of Police were unsuccessful.